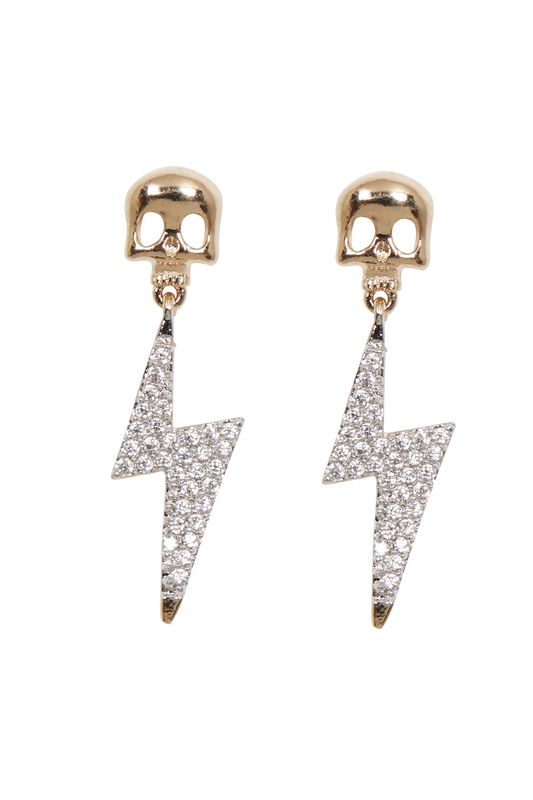 Get ziggy with our Ziggy Skull Earrings, a gold skull stud and diamante style zigzag creates an eye catching set! Love the look? Check out our Emerald Skull Studded Earrings!